A futuristic shoot 'em up designed to challenge your reflexes and wits. 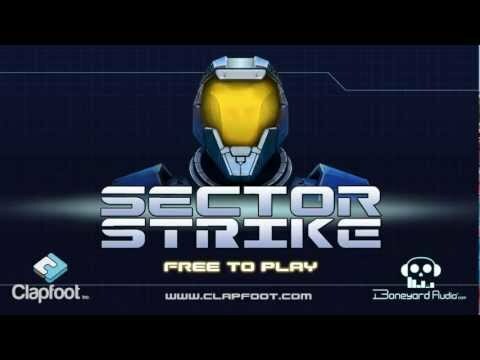 Sector Strike combines the mechanics of old school space shooters and the aesthetics of modern 3D games. Great for fans of bullet hell games! Battle through relentless waves of AI drones in a campaign that will take you through 4 unique environments. Earn credits and upgrade your ship with new weapons, equipment, and abilities. UPGRADE your ship with over 20 weapons and abilities such as hellfire missiles and call for reinforcements. PLAYABLE OFFLINE설계 미래형 촬영 버려 당신의 반사 신경과 순발력에 도전합니다. 부문 파업은 오래된 학교 공간 저격수의 역학과 현대적인 3D 게임의 미학을 결합한다. 총알 지옥 게임의 팬들을위한 멋진! AI의 끊임없는 파도 통해 전투 사 고유 한 환경을 통해 당신을 데려 갈 것이다 캠페인에 드론. 학점을 취득하고 새로운 무기, 장비, 능력을 가진 당신의 배를 업그레이드합니다. 이러한 헬 파이어 미사일 등 20 개 이상의 무기와 능력으로 당신의 배를 업그레이드하고 증원을 요구.